What Should We Learn From Jeremiah 12? First, let’s read Jeremiah 12. Why has the way of the wicked prospered? Why are all those who deal in treachery at ease? They grow, they have even produced fruit. And You examine my heart’s attitude toward You. And set them apart for a day of carnage! And the vegetation of the countryside to wither? Then how can you compete with horses? How will you do in the thicket of the Jordan? Even they have cried aloud after you. Into the hand of her enemies. Therefore I have come to hate her. “Is My inheritance like a speckled bird of prey to Me? Are the birds of prey against her on every side? Because no man lays it to heart. There is no peace for anyone. They have strained themselves to no profit. Let’s ask ourselves some questions before we get going. Who or what is this passage about? When did it happen? Considering that the entire Bible is about Jesus and the gospel, what does this passage have to say about God? 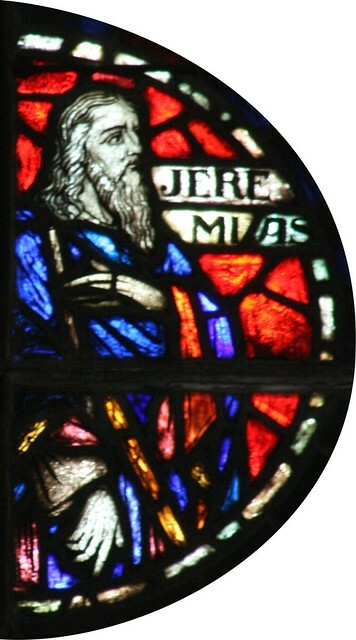 This passage is about the prophet Jeremiah, his appeal to God, and God’s answer. It was written between 680-530 BC. Judah was guilty of idolatry. Jeremiah was to warn them of God’s impending discipline if they didn’t repent. In this passage Jeremiah is making a plea to God for the wicked to be punished, and for relief from them. God answers by telling Jeremiah that He will uproot the nation of Judah. In other words His discipline and justice is coming. He also tells Jeremiah if they repent He will build them up, but if they don’t, He will destroy them. In the first couple verses it seems like Jeremiah is angry about how the wicked are enjoying wealth and prosperity. If you look at the next section of scripture I think you’ll see that he is truly angry at their lack of love for God and His will. They are giving their love and worship to idols and Jeremiah is upset by this because he himself truly worships God. That is why in verse 3 his prayer becomes imprecatory. This is not the only place in the Bible where someone who loves God prays for the destruction of the wicked. David did as well for example. It is not uncommon for someone who loves God to feel this way. Today as Christians we can feel like this when we see evil being celebrated in the world. I pray for God to save them, but if it is not His will to save them, I pray for God to remove them from influence, or take them out of this world. We have learned that God is just and good. He is longsuffering and will give nations/peoples time and opportunity to repent and worship Him. He is just and will punish the wicked in His time. Prophets of God spoke difficult things to the wicked people that got them in hot water with them. If they love God, they will preach His word regardless of the personal consequences, and when they are concerned about them, they come to Him in prayer. The Much Anticipated Schuyler Personal Size Quentel NASB Bible! What Does James Chapter 2 Teach us About Faith, and Works? There is a link at the top left under the Header graphic.